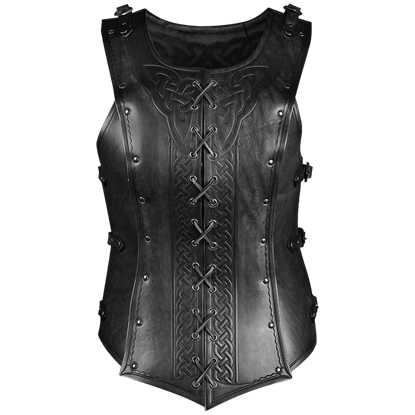 The fastest way to a warriors heart is through their chest, and that is why armor is important! 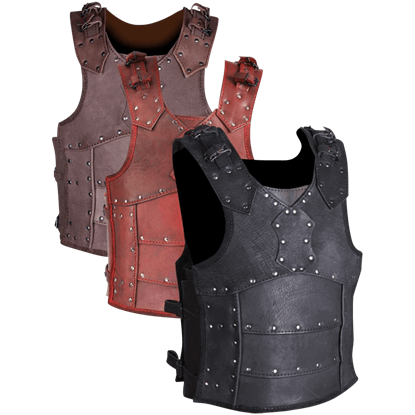 At Dark Knight Armoury, we endeavor to provide you with the best protection possible, and that is why we offer such a large selection of leather body armor. 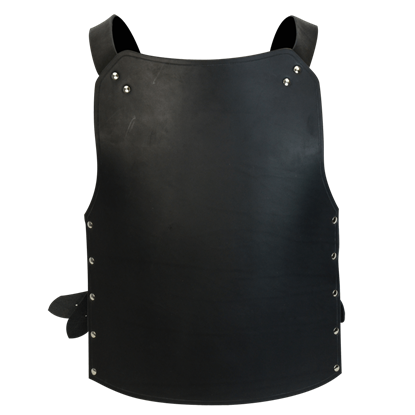 Here, you will find all sorts of leather protections that will keep you safe on the battlefield. 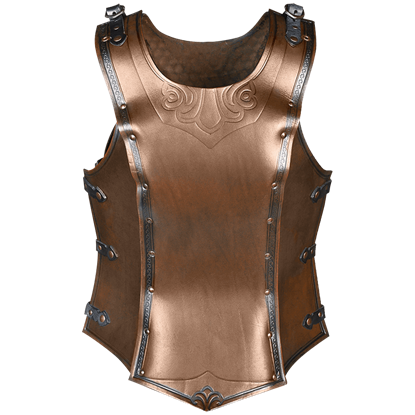 And of course, we also offer a huge assortment of different designs, ensuring that not only does your leather body armor keep you safe and protected, but it also suits your personal taste and style! 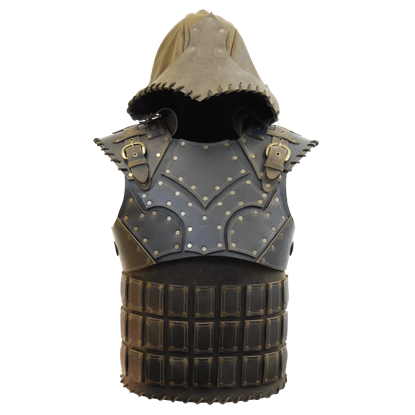 We offer, primarily, three different varieties of leather body armor, ranging from breastplates, cuirasses and harnesses, and brigandines. 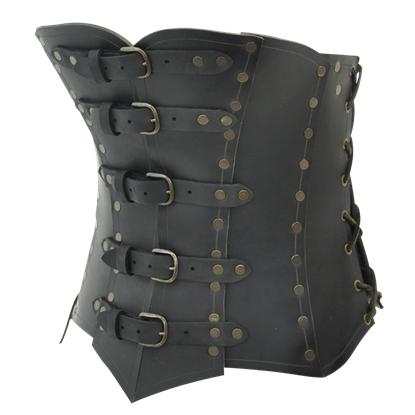 Each one is different and bears a simple explanation. 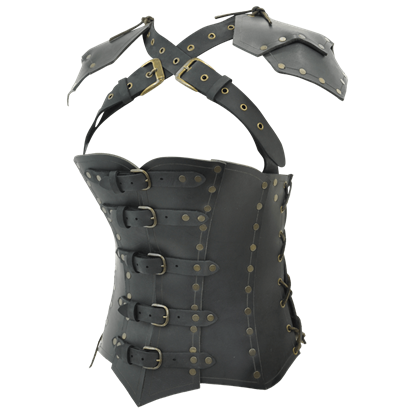 In a cuirass or harness, you get total leather protection not only in front but also in back. 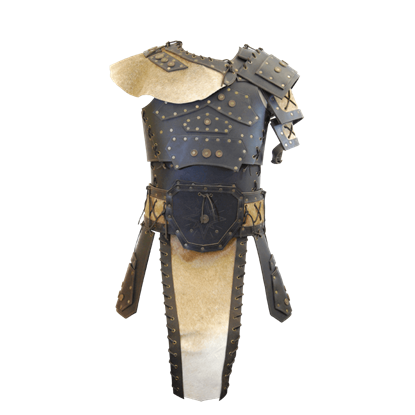 A breastplate, by comparison, is lighter than a cuirass but only provides protection for the front and partially on the sides. 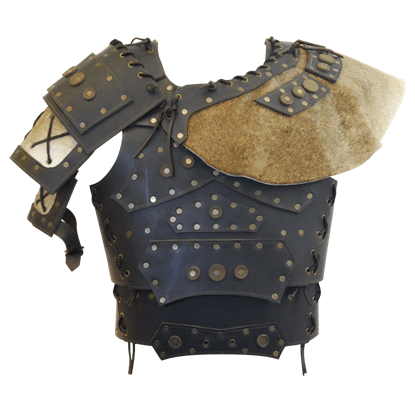 A brigandine, on the other hand, differs radically from both, being similar to a leather vest or hauberk that features additional plating. 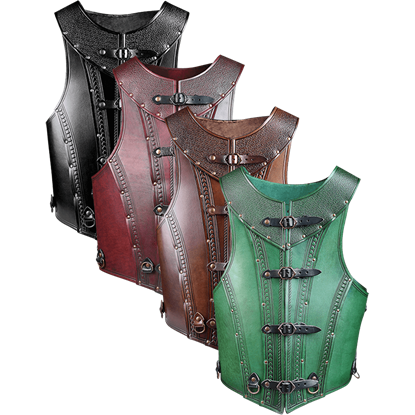 Any of these three, though, are sure to combine with lightness, mobility, and protection into one amazing whole that perfectly suits all manner of different warriors. 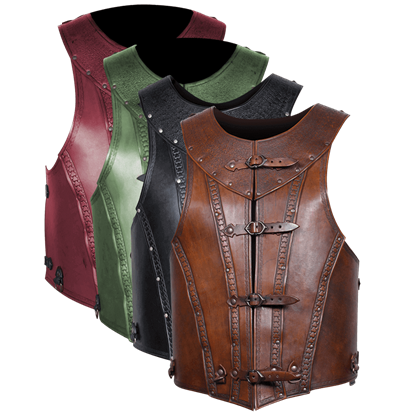 Much of our leather body armor is offered in different weights of leather, with 13-15 oz leather being suited for SCA use, reenactments, and more, while lower weights, like 9-10 oz leather and 7-8 oz leather are lighter and more suited for use as costume pieces and LARP armor. 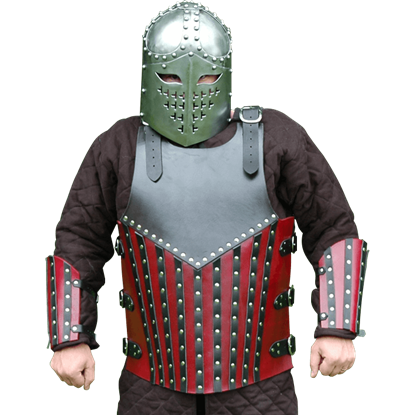 Whether for live action roleplay, an SCA event, or for just reenactment among family and friends, you almost could not ask for better protection then some of the leather body armor that you will find right here at Dark Knight Armoury.